This entry was posted in Review, Un-Cannes-y Valley and tagged caustic humor, italian cinema, Score: 10/10, Un-Cannes-y Valley, Vittorio De Sica on July 17, 2015 by jakewalters98. If Italian cinema went high-brow with fine style, so too did it go low with head-first zest and no less rigor. If an argument is to be made for the 1960s as a golden age of European cinema, the undernourished portion of the claim is genre cinema. Not that genre cinema was at a low during the ’60s. Why in France alone we had Clouzot doing an all-time Hitchcock impersonation even as he ushered action cinema to the next level, Franju giving us grisly, poetically classy horror, Melville abstracting crime thrillers to their icy, cosmic cores, and even Godard and Truffaut dipping their toes in the water with their playful noir pastiches Bande a Part and Shoot the Piano Player, respectively. But the crown jewel of ’60s European genre cinema cannot but be Italian cinema. The elephant in the room is Sergio Leone, elevating the Western by drawing out its cartoon core and emphasizing tactile feel over all else. Deeper still, however, we have a treasure trove of that most unholy of film genres: horror. Giallo would come in full force with the arrival of the glistening crimson reds and sickly yellows of the ’70s, but the ’60s saw no shortage of pristine, pitch-black Italian horrors, most of them admittedly directed by the master of the form: Mario Bava. Most famous for his color-first lurid later cinema that re-propositioned horror as a ballet of human motion and painted-on color, Bava got his start much earlier than we usually assume. In fact, his first film, and arguably his greatest, is a chiaroscuro masterwork fresh from the grave, a Hammer Horror pastiche that beat Hammer at its own game. 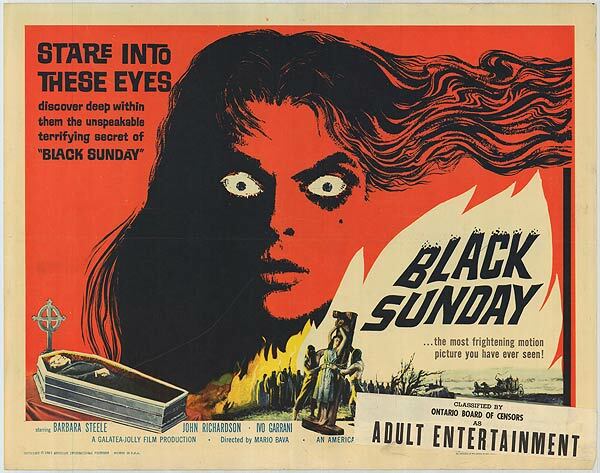 I speak of course of the fiery death-drive of Bava’s Black Sunday. 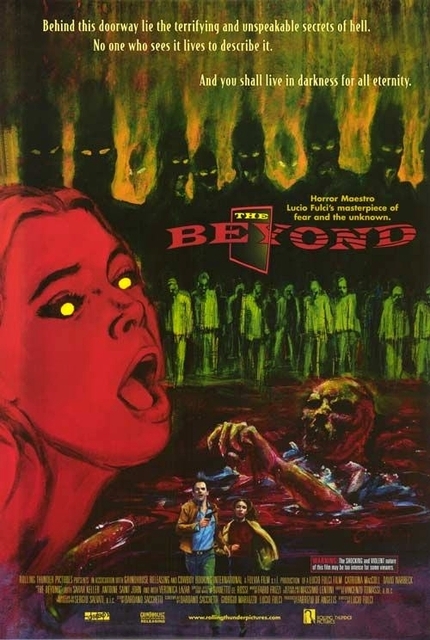 This entry was posted in National Cinemas, Review and tagged haunted beauty, horror films, italian cinema, Mario Bava, National Cinemas, Score: 10/10 on December 25, 2014 by jakewalters98. With Fellini long lost down the surrealist tube and intentionally distancing himself from his earlier realist days, someone in the early ’60s had to fill the neo-realist hole left by the likes of Rossellini and De Sica. Of course, it wasn’t going to be Michelangelo Antonioni, the chilly director of physical space and undersexed human boredom, but he would do in a pinch. Yet, if Antonioni studied the neo-realists well, he was his own beast altogether. Neo-realist classics like Bicycle Thieves attained a certain warmth in their intentional focus on human activity elevated to the realms of mythic quest, but Antonioni was very much fascinated by human inactivity. Furthermore, he didn’t follow the neo-realist mantra of letting his people do the talking while his camera shakes and rattles about. Instead, Antonioni took a hands-on approach, positioning his characters delicately, defining them in wide compositions that sequester those characters into personal hells. He calculated every frame with a spatial dogmatism akin to Bresson or Hitchcock, but his mantra was more geographic, more geometric than those individual-centric directors. Antonioni, more than any director before, acclimatized his audience to the physical space around his characters. While the typically open-oyster cinematic world usually carves space out for individuals to thrive as the focus, Antonioni curdles space into a malevolent force that fights back. Antonioni’s genius is in how he exposes his characters’ world through methods his characters might approve of; his filmmaking is detached and rigid because his film is about the detached and the rigid. He was making a film for his characters, but a film that deeply laments those characters as they eschew a world of connection and turn the human-world relationship into a war of attrition. This entry was posted in National Cinemas, Review and tagged Confrontational Classics, italian cinema, Michelangelo Antonioni, National Cinemas, Score: 10/10, tapestries of human despair on December 25, 2014 by jakewalters98.